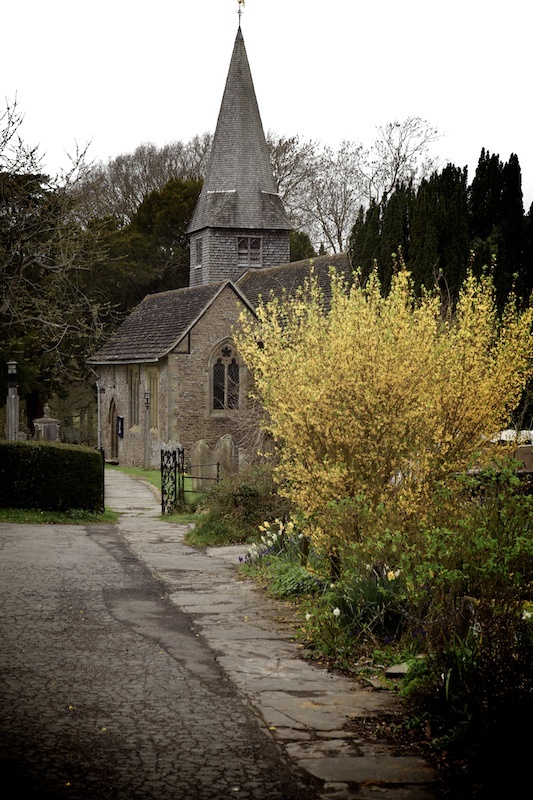 A lovely pre-wedding visit to plan the photography for a wedding at St Nicolas church at Itchingfield, West Sussex. 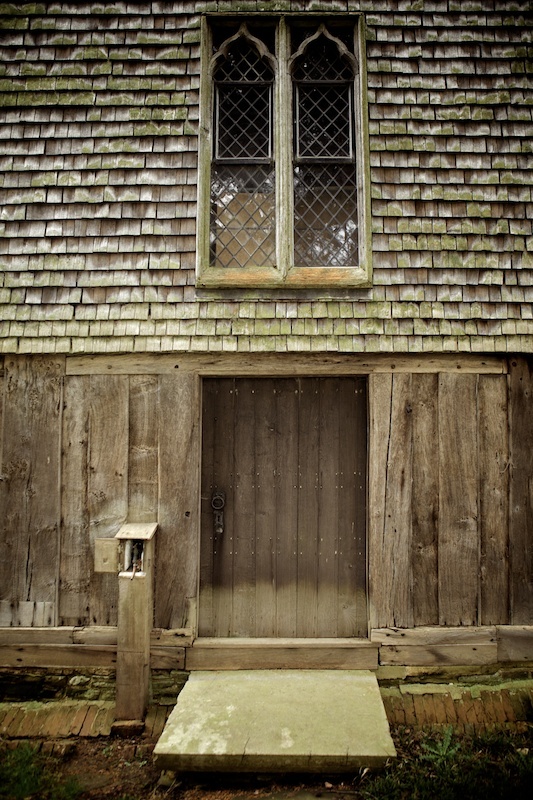 There is a beautiful Tudor priest house in the graveyard and a stunning Romanesque nave inside with soft window light (“God’s softbox” in action!). But the piece de la resistance is the wooden bell tower. I thought it was only a traditional Sussex timber shingle spire at first sight – remarkable on its own – but I rounded the west end and saw its full oak structure rising to the sky. The bride-to-be told me how the whole tower shakes when the bells ring: it’s not actually attached to the church. Oh, and it’s over 600 years old. Amazing. St Nicolas Church, Itchingfield, Horsham, West Sussex. I love your description of “a traditional Sussex timber shingle spire”. I’ve become very interested from afar (in Australia) in such shingle spires featured in Sussex churches in, for example, Berwick, Arlington, Alfriston and Firle. It would seem that such spires atop a timber bell tower form a distinctive style of architecture. Is this “style” found mainly in Sussex? Or is it also common in other country churches? Can you tell me if this style has a distinctive name or description? I hope you are able to answer my queries. I’m definitely an interested amateur! But I know that these timber spires were a Sussex speciality. There’s one on St. Michael’s church up the road from me in Lewes. I don’t know how easy it is to get hold of British books over there in Oz, but I can recommend a scholarly book called ‘Sussex Churches and Chapel’ by David Beevers, Richard Marks and John Roles (Royal Pavilion Art Gallery and Museums, Brighton, 1989). It’s out of print now but I saw a second-hand one for sale on the UK Amazon site for a few dollars (search ISBN 0948723114). It’s a pretty dense book but is fascinating if you’re into ecclesiastical architecture. Probably easier to get hold of is the modern classic ‘England’s Thousand Best Churches’ by Simon Jenkins. Very well written and very interesting. I only hope you’ll get to visit some of them one day! Sorry I can’t help more, but I hope this may be of interest.